Glucosamine is a biological composite that originates in healthy cartilage. Glucosamine is regularly mixed with chondroitin that's obtained from articular cartilage (relating to or involving a joint of the body). According to the Mayo Clinic, glucosamine is commonly used in the treatment of osteoarthritis, particularly of the knee. MSM (Methylsulfonylmethane) is a dietary supplement that may help relieve joint pain that is caused by arthritis. It is commonly used along with glucosamine and chondroitin. MSM may enhance the therapeutic benefits of glucosamine. Glucosamine sulfate is frequently the favored form of glucosamine because of it's effectiveness. There are a number of possible side effects linked to glucosamine sulfate. They are sleep disturbances, drowsiness, headaches, upset stomach, skin reactions, sensitivity to the sun and hardening of the nails. Glucosamine sulfate may also cause a short-term rise in both heart rate and blood pressure. In rare instances people who take glucosamine sulfate have reported vomiting, nausea, constipation, gas, heartburn, diarrhea and lack of appetite. The Mayo Clinic says animal research suggests that glucosamine may raise the risk of eye cataracts. People who are allergic to shellfish as well as individuals with iodine (an element found in shellfish and iodized salt that is necessary for the body to make thyroid hormone) hypersensitivity may have a reaction to some glucosamine products that are made from the shells of shrimp, crab and other shellfish. An allergic response to glucosamine sulfate may result in a swollen throat. The Mayo Clinic says research into whether glucosamine changes blood sugar levels has drawn conflicting conclusions. However it seems to cause insulin resistance and endothelial dysfunction when injected. 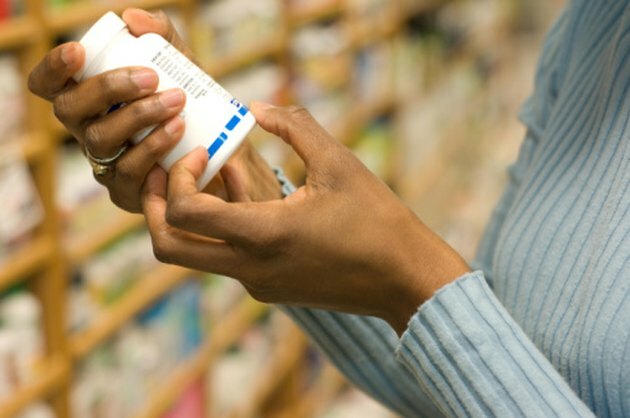 People with diabetes or hypoglycemia are urged to use caution when taking glucosamine. Since glucosamine hypothetically may raise the chances of bleeding, people who have bleeding disorders should consult with their doctor before taking the supplement. Women who are pregnant or breast feeding are advised against taking glucosamine. Since MSM is essentially a form of dietary sulfur, you should avoid taking this supplement if you are allergic to sulfa drugs. The possible side effects associated with MSM include an increased number of bowl movements, an upset stomach and headaches. There is sparse information available on the use of MSM during pregnancy or while breast feeding.